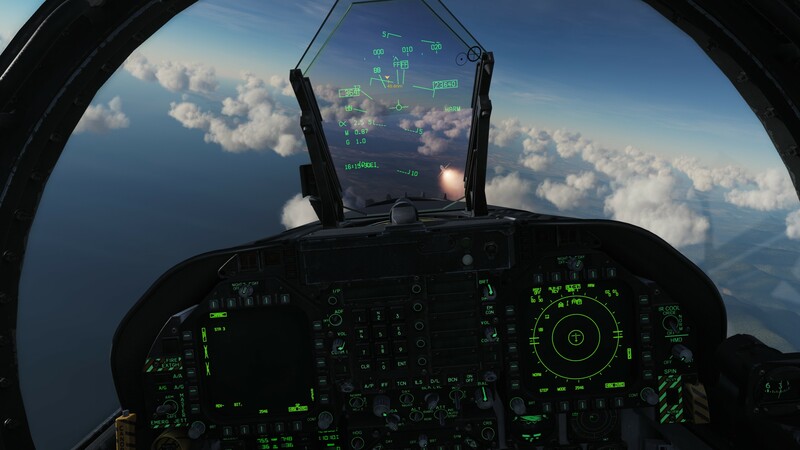 AGM-88 available on DCS: F/A-18C next week! The AGM-88 HARM will be available on DCS World beta release for the F/A-18C Hornet starting next week! Even better, Matt Wagner took to YouTube today to show us how this system will work in the Hornet so that we’re ready to go come Wednesday when the next patch is expected to arrive. Matt Wagner fires off a HARM missile in the latest mini-update. The AGM-88 HARM is designed to seek out and destroy enemy radar emitters. Adding the HARM to DCS World and the F/A-18C opens up new capability that just has not been available to BLUEFOR at any point previously in the series history. Technically, the AV-8B has its own SEAD (Suppression of Enemy Air Defenses) capability with the AGM-122 Sidearm, however, its 10-mile maximum range is extremely limited and requires the AV-8B to be in-range of most SAM systems. The HARM by comparison has about an 80 nautical mile range. Of those three, only Self Protect will be available next week, however, as you’ll see in the video, SP mode is incredibly simple to use and very useful as well. In SP mode you can select a radar source and rifle off a HARM at it. If a SAM turns its radar toward you and you’re flying at a sufficient speed an altitude, you can likely lock that radar and fire back – potentially even before the SAM has the ability to do the same to you. One disadvantage is that SP mode doesn’t give you range information. I presume the other two modes have some more strategic abilities and I look forward to learning more about them soon. Without further adieu, check out Matt’s new video! I’m looking forward to trying this out come Wednesday and using it in action in the future.